Jay Dee a.k.a. J Dilla is widely regarded as one of the greatest producers in hip hop history. After careful study and curation this one of a kind collection compiles the well-deserved documentation of Jay Dee’s early musical masterpieces. Ma Dukes assembled a team of industry family who spent nine months working daily to bring this project to J Dilla fans everywhere. 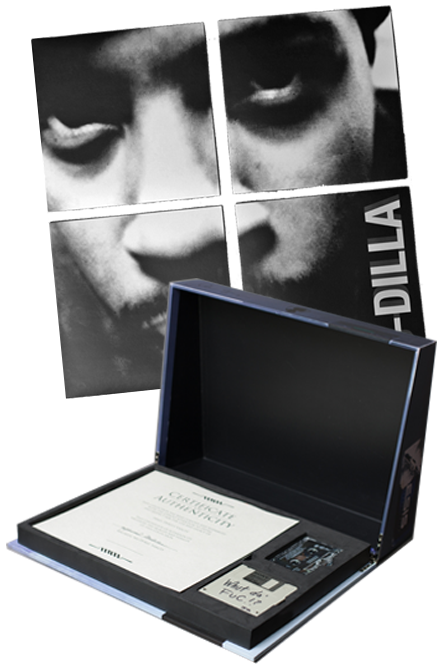 ‘The King of Beats’ Ma Dukes Yancey Collector’s Edition is manufactured in the image and likeness of the exact SP-1200 in which Jay Dee produced his signature sound. 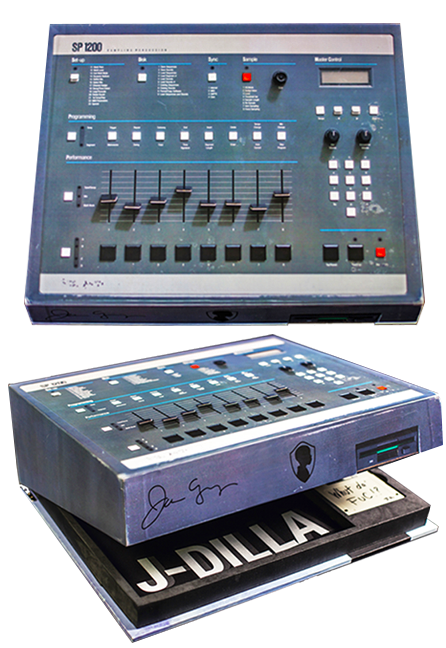 The E-Mu Systems SP-1200 drum machine and sampler was the first electronic instrument Jay Dee worked with while crafting the incomparable styles and sounds which defined the early stages of his legendary production. The SP-1200 was his primary tool of choice at the inception of his career. During this period, he created classics for early Slum Village, The Pharcyde, A Tribe Called Quest, Busta Rhymes, among many others. o (1) ‘The King of Beats’ commemorative booklet contains interviews with his peers, scholars, etc. along with rare and never before seen photos with provocative insight and perspective of the early years of Jay Dee’s career. o (1) ‘The King of Beats’ Ma Dukes Yancey Collector’s Edition Box Set includes a Limited Edition 3.5 inch floppy disk containing (1) unreleased J Dilla production, multi-tracked and formatted specifically to upload within the actual E-Mu SP-1200 machine. Dimensions: 46 cm. x 38.5 cm. x 20 cm. Approx. 7 7/8 in. x 18 7/64 in. x 15 5/32 in. This is an opportunity for Jay Dee a.k.a. J Dilla heads to become a part of history. FOR NEWS PERTAINING TO THIS HISTORICAL RELEASE & SLUM VILLAGE’S TOUR DATES. For all inquiries please send us an email and we will respond within 48 hours.